Yoko Ono is planning to write a memoir about her life with John Lennon, putting to rest the question we've all been asking: What more can possibly be said about one of the most-documented figures in modern history? "I would love to do it. I just have to find the time," Ono said. "It will be my next book, which will be written in the next five years." Ono, who was blamed by many Beatles' fans for causing the iconic band to split, had said in the past that she wouldn't release a book of this nature for fear of hurting the families of people close to the group, including John's ex-wife Cynthia Lennon and the son they had together, Julian. 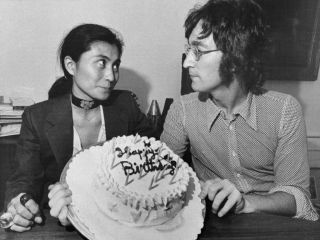 Says a Beatles expert,"Unlike Cynthia, Yoko has never really told her side of The Beatles' story and the truth about her affair and subsequent marriage to John, so the book will be much awaited. "She's always maintained she never broke up The Beatles, so this will be her chance to put the record straight."